This article explains how to install Symfony in different ways and how to solve the most common issues that may appear during the installation process. Do you prefer video tutorials? Check out the Joyful Development with Symfony screencast series from KnpUniversity. This command creates a new directory called my_project_name/ that contains an empty project based on the most recent stable Symfony version available. 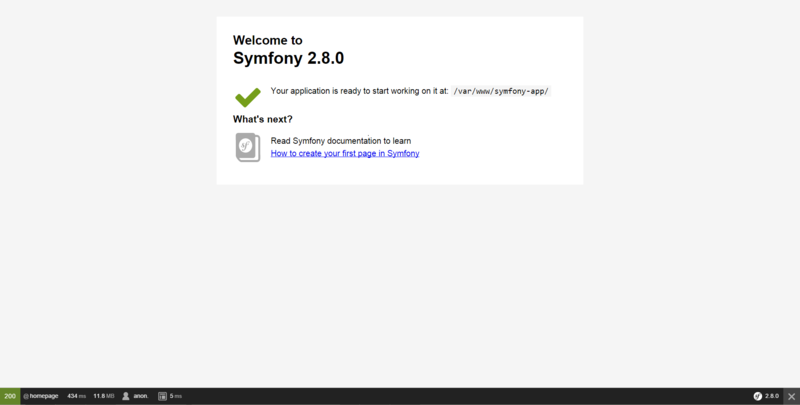 In addition, the installer checks if your system meets the technical requirements to execute Symfony applications. If not, you'll see the list of changes needed to meet those requirements. If the installer doesn't work for you or doesn't output anything, make sure that the PHP Phar extension is installed and enabled on your computer. Read the Symfony Release process to better understand why there are several Symfony versions and which one to use for your projects. If you still use PHP 5.3 or can't use the Symfony installer for any reason, you can create Symfony applications with Composer, the dependency manager used by modern PHP applications. $ composer create-project symfony/framework-standard-edition my_project_name "2.8. *"
If your Internet connection is slow, you may think that Composer is not doing anything. If that's your case, add the -vvv flag to the previous command to display a detailed output of everything that Composer is doing. If you see a blank page or an error page instead of the Welcome Page, there is a directory permission misconfiguration. The solution to this problem is explained in the Setting up or Fixing File Permissions. When you are finished working on your Symfony application, stop the server by pressing Ctrl+C from the terminal or command console. PHP's internal web server is great for developing, but should not be used on production. Instead, use Apache or Nginx. See Configuring a Web Server. If you have any file permission errors or see a white screen, then read Setting up or Fixing File Permissions for more information. At this point, you've created a fully-functional Symfony application! Every Symfony app depends on a number of third-party libraries stored in the vendor/ directory and managed by Composer. A good security practice is to execute this command regularly to be able to update or replace compromised dependencies as soon as possible. You've already downloaded the Symfony Standard Edition: the default starting project for all Symfony apps. You'll use this project throughout the documentation to build your app! This is a fully-functional application that shows the recommended way to develop Symfony applications. The app has been conceived as a learning tool for Symfony newcomers and its source code contains tons of comments and helpful notes. The Symfony CMF is a project that helps make it easier for developers to add CMS functionality to their Symfony applications. This is a starting project containing the Symfony CMF. Shows how to build an application that provides a RESTful API using the FOSRestBundle and several other related Bundles. When working collaboratively in a Symfony application, it's uncommon to create a new Symfony application as explained in the previous sections. Instead, someone else has already created and submitted it to a shared repository. With setup behind you, it's time to Create your first page in Symfony.